Hi! 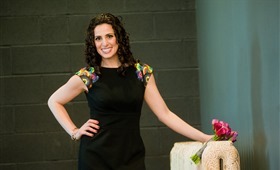 I'm Nora Sheils and I have been obsessed with weddings and steps to planning a wedding for as long as I can remember. I started Bridal Bliss in 2002 and have since watched it grow from a one-person show to a large team with three locations. There is so much I love about my job, and every day is a little different. 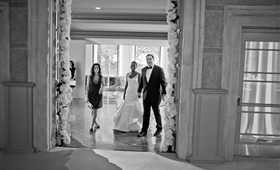 I have monthly weddings segments on two local television shows and our weddings have been featured internationally. Our team has won several awards, including Oregon Bride Magazine’s Best-Of awards eleven separate years. We were recently named Portland’s Best Wedding Planner of 2017, for the eighth consecutive year which was such a thrill. "My favorite part of the job is forming relationships with clients and being there day-of to see it all happen." In addition to running Bridal Bliss, I'm on the board for Leve, a local non-profit. I am a mom to two sweet boys, Gavin and Dylan and a wife to Tyler whom I met at a wedding (I coordinated and he was a guest!)! My family loves to travel, explore the city and all the new restaurants and spend time with our nearest and dearest. I'm happiest with a glass of bubbles and something (anything!) sweet in hand! I have loved weddings and steps to planning a wedding since I was young. My mom did alterations out of our home and I would gawk after brides and their beautiful gowns! Events have been a passion of mine from the early years and I worked in all different aspects of the industry. When I was finishing up college at Gonzaga University, I submitted a business plan to a competition and won! It supplied me with start-up funds right out of college, and that is how Bridal Bliss was born. It has been quite a ride! My favorite part of the job is forming relationships with clients and being there day-of to see it all happen. Some of my dearest friends have been past clients! It is so fulfilling to bring an event to fruition with steps to planning a wedding and seeing a truly happy couple brings me so much joy. 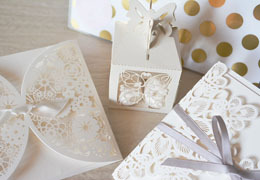 "Wedding planners are able to negotiate substantial vendor discounts and make sure our clients are well taken care of." Why should engaged couples get a wedding planner? 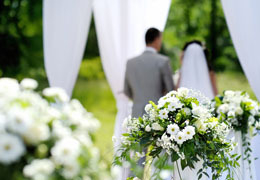 A good wedding coordinator can help walk couples through the steps to planning a wedding. We are there as advocates for the couple making sure pricing, contracts and details are all in line. At Bridal Bliss, we pride ourselves on our experience with steps to planning a wedding and extensive vendor relationships, allowing us to produce top-rated weddings year after year. Wedding planners are able to negotiate substantial vendor discounts and make sure our clients are well taken care of. 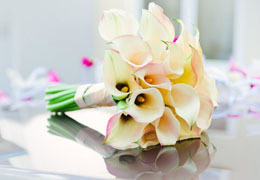 We listen to our couple's needs and ideas, offer creative suggestions and bring their dream wedding life. Many couples feel overwhelmed by the entire process of steps to planning a wedding, they know they need help but don't necessarily know what type of help they need. Even having someone (like us!) tell them it is going to be ok, and that we are here to help, can calm nerves. It is all about providing structured guide of how to plan a wedding step by step, and what the next few months will look like, even from the very first time we meet. “We know steps to planning a wedding are not inexpensive, but discounts, negotiations, and even helping determine what is needed and what is not, are all items wedding planners deal with on a daily basis." This is a common one and something we like to share right off the bat, but we also like to talk to potential clients about how much money we can save them. We know steps to planning a wedding are not inexpensive, but discounts, negotiations, and even helping determine what is needed and what is not, are all items we deal with on a daily basis. One of our goals is to help save couples money where we can. So while hiring a planner is an expense, we are always looking to offset dollars elsewhere to maximize their wedding budget. This is always a fun one for us. We have three set packages, but there is also flexibility. You need someone to help with not only steps to planning a wedding but also an engagement party - of course!!! We want to be there for each and every step of the process. “A good rule of thumb when deciding between several wedding coordinators is to visualize your wedding day." A good coordinator (in our book) is organized, detail-oriented, responsive, creative and calm under pressure. These are traits that a couple should see from minute one of a meeting. Your potential coordinator should make you feel at ease. You should know that he or she is going to make steps to planning a wedding seamless. A good rule of thumb when deciding between several coordinators is to visualize your wedding day. Which team could you confidently say you could see both sending you down the aisle and leading the vendors, bustling the gown or tying a ring bearer's shoe (because she will likely be doing all plus many more!)? What are the most creative ideas you have seen for a wedding ceremony? One of our favorite trends over the last couple of years has been the non-traditional officiant. Couples are asking family members or close friends to preside over their ceremonies. This typically makes for an emotion-filled event, as they are often able to speak first-hand to the love between the couple, as well the (usually hilarious) memories between them as well. Other fun ceremony twists: we have had a few grooms serenade their brides in lieu of traditional vows. Then there is creative seating: it looks beautiful when the guests are surrounding the couple in a circle/semi-circle, creative backdrops reflective of the couple's interests whether it be stacks of books, a large map, or doors opening to an expansive mountainside. And, of course, song selection! 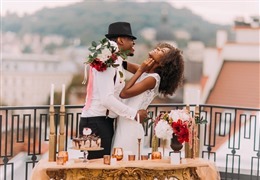 Gone are the days of every bride & groom selecting the same three songs, these days the songs are often ones that have meaning to the couple or to their families, and we definitely don't mind a little dancing back down the aisle! “Last year, we had two weddings that were based around literary giants. One of which, lovingly referred to as ‘The Hobbit Wedding’ was the largest production we have pulled off." What do brides most often forget to bring to the wedding? Our goal is always to make the wedding weekend as stress-free as possible. For us, this means final planning a wedding checklist (which includes a packing list) are done at least a week prior, and that will hopefully eliminate any last-minute scrambling. That said, hiccups do come up, one of the big ones we see on the day of the wedding are snacks! Frequently a bride or groom will treat their wedding party to a nice brunch or early lunch while getting ready. Fast forward several hours, photos, a ride to the ceremony, maybe some more photos and some downtime, oh and a ceremony all before the cocktail hour (um, unless there are more photos happening them) and we end up with some HUNGRY maids, men, brides, and grooms! We like to ask who will be bringing snacks, but sometimes they get forgotten (it happens!). We like to travel with crackers, granola bars, nuts, etc. and have been known to make a few burger stops as well! We don't want anyone falling over on our watch! ”Initially in steps to planning a wedding, the busiest time is the time from when the couple gets engaged to when all of the big vendors are booked. This typically includes a coordinator, venue, caterer, photographer, and florist." Which portion of the steps to planning a wedding process keeps you busy the most? For every wedding, there is a slightly different timeline; however, all have their busy moments. Initially, in steps to planning a wedding, the busiest time is the time from when the couple gets engaged to when all of the big vendors are booked. This typically includes a coordinator, venue, caterer, photographer, and florist. While the other vendors are also important, we like to start with these five, and then layer in the rest. The next busy time (as I am sure you can imagine) is the wedding weekend! These days, many couples celebrate for several days (and why not?! ), which can include a rehearsal, bridesmaids’ lunch, golf (or another event for the guys), a welcome party, the wedding day, and a thank you brunch. We love helping our couples beyond just steps to planning a wedding day, and as you can imagine, this makes for an action-packed couple of days! We do offer packages! We have three different options depending on the need of each couple and can also customize if prospective clients aren't finding the perfect fit. Our packages range from a Day Of option to a Full-Service planning option. 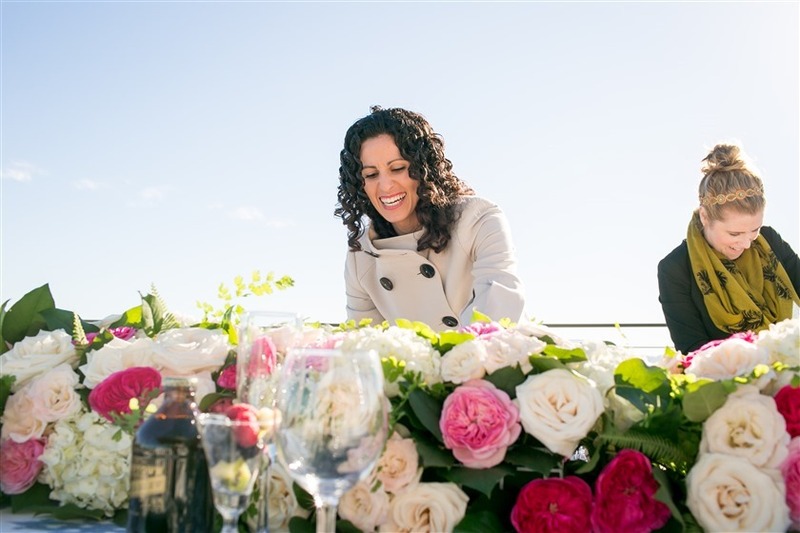 Our Day-Of and Partial packages allow the couple to complete a majority of the legwork leading up to the wedding while having a professional planner in the background to lean on. We are much more involved in our Full-Service packages scheduling and attending vendor meetings, negotiating the contract, serving as the point of contact, creating and executing a design scheme, basically all steps to planning a wedding. We are with the clients every step of the way from planning until post-event. "… trust your vendors. You hired these people for a reason, so have confidence that they have your best interests and will go to bat for you." Learn more about Bridal Bliss and see what they have to offer!